The University of Southern California’s premier video games program USC Games will feature hands-on playable code for three of its key releases at Sony’s 2017 PlayStation Experience on December 9th and 10th in Anaheim, California: Walden, a game, The Night Journey, and Cat and the Coup. The line-up was announced today by Tracy Fullerton, the Director of USC Games and Danny Bilson, Chair of the School of Cinematic Arts’ Interactive Media & Games Division. 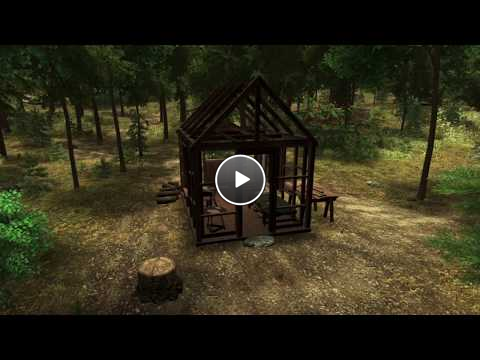 Walden, a game, a first person exploratory narrative of the life of American philosopher Henry David Thoreau during his experiment in self-reliant living at Walden Pond. The project, which was named “Game of the Year” at this year’s Games for Change Festival, is one of the first videogames supported by both the National Endowment for the Arts and the National Endowment for the Humanities, as well as the Sundance New Frontier Story Lab. The game begins in the summer of 1845 when Thoreau moved to the Pond and built his cabin there. Players follow in his footsteps, surviving in the woods by finding food and fuel and maintaining their shelter and clothing. At the same time, players are surrounded by the beauty of the woods and the Pond, which hold a promise of a sublime life beyond these basic needs. The game follows the loose narrative of Thoreau’s first year in the woods, with each season holding its own challenges for survival and possibilities for inspiration. The Night Journey is an experimental videogame that uses both game and video techniques to evoke the universal story of an individual’s journey towards enlightenment. The project is a collaboration between acclaimed media artist Bill Viola and the USC Game Innovation Lab. It was originally developed as art exhibit and one of the earliest examples of an art videogame and has been on display around the world for the past decade. Its PlayStation®4 release next year will mark the first availability of this landmark game for home platforms. The Cat and the Coup 4K is a PlayStation version of the award-winning 2011 computer game where players play as the cat of Dr. Mohammed Mossadegh, the first democratically elected Prime Minister of Iran. During the summer of 1953, the CIA engineered a coup d'état to bring about his downfall. As a player, you coax Mossadegh back through significant events of his life by knocking objects off shelves, scattering his papers, jumping on his lap, and scratching him. The game is both about the relationship between the American videogame player and Mossadegh, with the context of the shared history of U.S. and Iranian warfare. The game’s release is particularly timely post-2009 Green Revolution and the renewed tensions surrounding the Iran Nuclear Deal. PlayStation Experience is the first time that all of these three award-winning games will be available to play on PlayStation®4.